Introducing the first laser dry-fire and airsoft marksmanship training target box you control with an app on your smartphone or tablet! Practice without needing a range or expensive ammo! Introducing the first laser dry-fire and airsoft marksmanship training target box you control with an app on your smartphone or tablet! Control and use multiple units at the same time! Introducing the first laser dry-fire and airsoft marksmanship training target box you control with an app on your smartphone or tablet! All hits are reported and displayed on your phone! Introducing the first laser dry-fire and airsoft marksmanship training target box you control with an app on your smartphone or tablet! Use standard full-size targets! High-tech system brings the range experience home. for use with laser dry-fire trainers. phone with you and see your hits displayed in real-time. 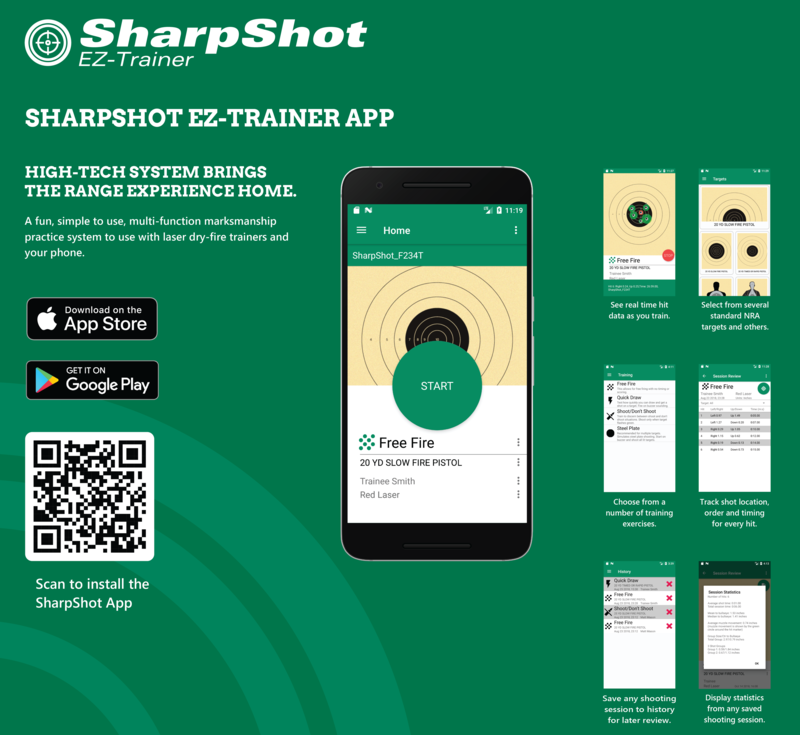 A simple to use marksmanship training system controlled by your phone via Bluetooth. A self-contained training box requiring no other equipment besides an Apple or Android smartphone/tablet and laser training gun (red or green). 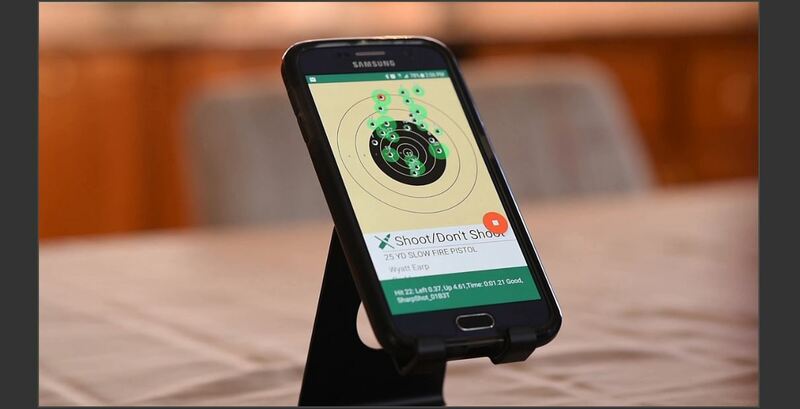 Use anywhere indoors letting you target practice without spending on ammo or range fees. Exact shot location (in inches or cm), shot order and timing tracked for every hit. Store all your shooting sessions for later review. View statistics on sessions to track performance. Connect to and make use of multiple boxes at once for an intense training session. 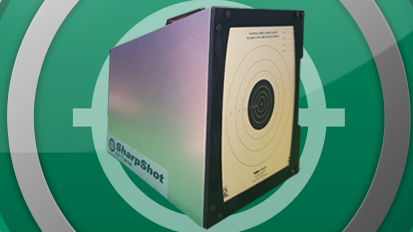 Your phone or tablet may be placed anywhere within Bluetooth range of the SharpShot unit. Potentially up to 100 meters depending on the surroundings. It will work with virtually any brand of laser trainer device including Laser-Ammo, LaserLyte, SIRT and Laser Shot. 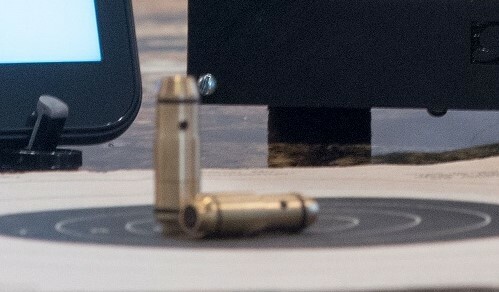 To see our legacy PC marksmanship training products visit www.ocats.com.